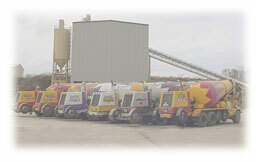 Locally owned and operated, River City Ready Mix has serviced the ready-mix concrete needs of La Crosse, Wisconsin and surrounding areas since 1988. Our customer base varies from state, county and local municipalities, to commercial and residential customers. Our main focus is the continued commitment to provide quality concrete construction products and services to our customers. Jobs supplied by River City Ready Mix range from residential sidewalks, driveways, backyard patios and agricultural complexes to the Market Square Parking Ramp in downtown La Crosse. 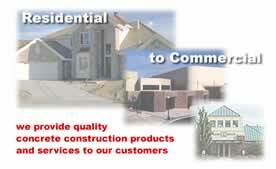 Specialized concrete is also available for specific projects. River City Ready Mix utilizes fully computerized batching systems for accurate and consistent mix designs to fit your every need, and full-time, on-staff quality control for tests and analysis of our products if required. River City Ready Mixs experienced personnel will work with you to meet all your ready-mix concrete needs. Our fleet consists mainly of more than 30 front discharge trucks for quick, labor-saving concrete placement. We also have a pump truck available for hard-to-reach areas. The trucks are dispatched out of three strategically located plants in La Crosse, Tomah, Westby and Trempealeau, Wisconsin. Look for our trucks supporting area schools and youth organizations! River City Ready Mix is open year round, five days a week, with seasonal Saturday delivery available.